A time-dependent anatomy display showing the relative probability of an LV vs. an RV injury. 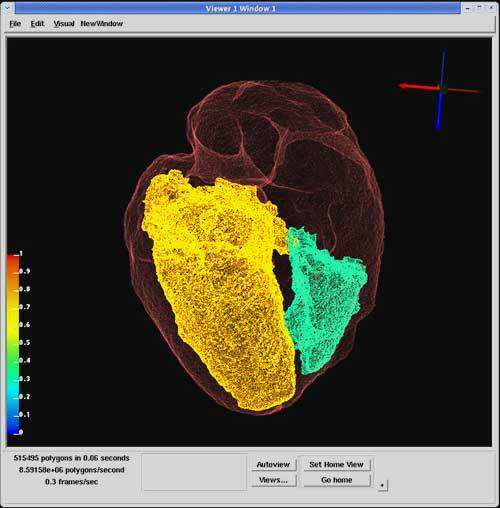 The 3D view can be rotated, translated, and scaled to show the anatomical model that has been created from a subject specific baseline CT scan. This display works with the Hotbox, can operate in real-time, faster or slower than real-time, can be paused, rewound, or fast forwarded to specific times.